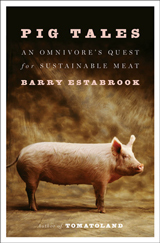 W. W. Norton will publish Barry’s book Pig Tales: An Omnivore’s Guide to Sustainable Meat on June 8, 2015. After examining all things to do with hog farming, Barry concludes that pork is either the worst meat you can eat–or the very best. It all depends on how it is raised. He still eats bacon, but he’s very picky about what goes into his pan. 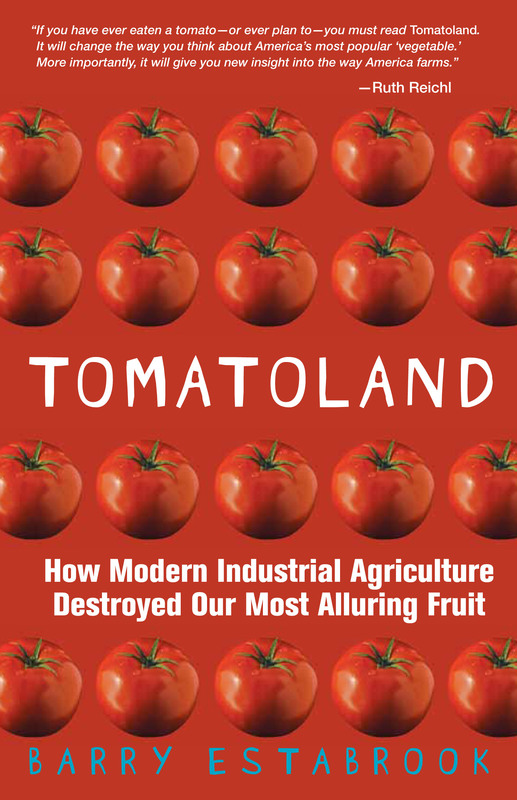 Tomatoland: How Modern Industrial Agriculture Destroyed Our Most Alluring Fruit, Barry’s 2011 book about how industrial agriculture has ruined the tomato in all ways–gastronomic, environmental, and in terms of labor abuse–was published in the summer of 2011 by Andrews McMeel. It was a New York Times bestseller and won the Farmworker Justice Award and inspired the 2014 documentary Food Chains. Stints working on a dairy farm and a commercial fishing boat as a young man convinced Barry Estabrook that writing about how food was produced was a hell of a lot easier than actually producing it. He lives on a 30-acre tract in Vermont where he gardens, tends a dozen laying hens, taps maple trees, and (in an effort to reduce his alcohol footprint) brews hard cider from his own apples that no one except him likes. He was formerly a contributing editor at the late lamented Gourmet magazine. He has written for the the New York Times, the Washington Post, TheAtlantic.com, MarkBittman.com, Saveur, Men’s Health, Reader’s Digest, and pretty much anyone else who will take his stuff. His article for Gourmet on labor abuses in Florida’s Tomato fields received the 2010 James Beard Award for magazine feature writing. Read it here. This blog also reveived the James Beard Award for best blog of the year. And he really, really appreciates it that you visited his site. Thanks! And click here to subscribe to email updates from Barry.